A guide to the Georgia Women's Movement Oral History Project collection. The Georgia Women's Movement Oral History Project, which was established in 1995, is an integral part of the Donna Novak Coles Georgia Women's Movement Archives. 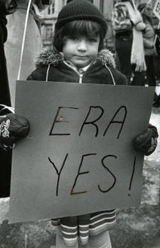 The project documents the second wave of the women's movement in Georgia and in particular, state-wide efforts to pass the Equal Rights Amendment. Most of the interviews were originally recorded on audio cassettes. These have been digitized and use copies are now available on CD-Roms. This guide is a work in progess, as a few of the interviews have not yet been fully processed. The guide will be updated on a regular basis. If you would like to access any of the interviews, please contact the Women and Gender Collections Archivist.